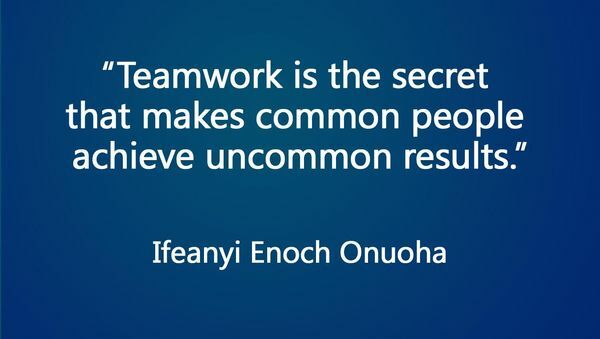 Do you share the idea that “Teamwork makes the dream work”? Do you want to see the genuine delight in your colleagues’ eyes every time they work together on a project? Or maybe you just want to cheer your staff up on Blue Monday? If you can answer positively at least to one of the questions, you are in the right place. No matter how smart and motivated you are, it’s almost impossible to reach colossal results without good team players who are always there for you. Having a determined and cohesive team is the recipe for company success, isn’t it? It is the individuality and skills of every member of a crew that make it stronger. 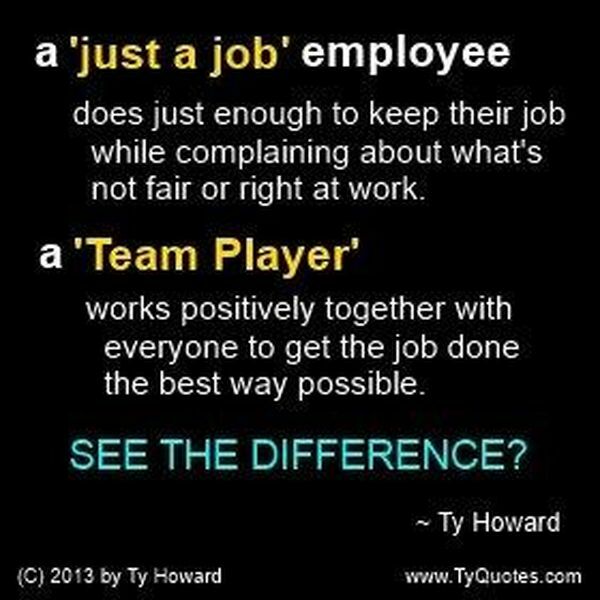 That’s why you can’t underestimate the importance of positive team quotes and sayings. Now you might be a bit confused, saying that some famous quote about teamwork cannot teach an old dog new tricks. 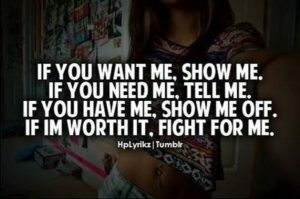 And you will be right! 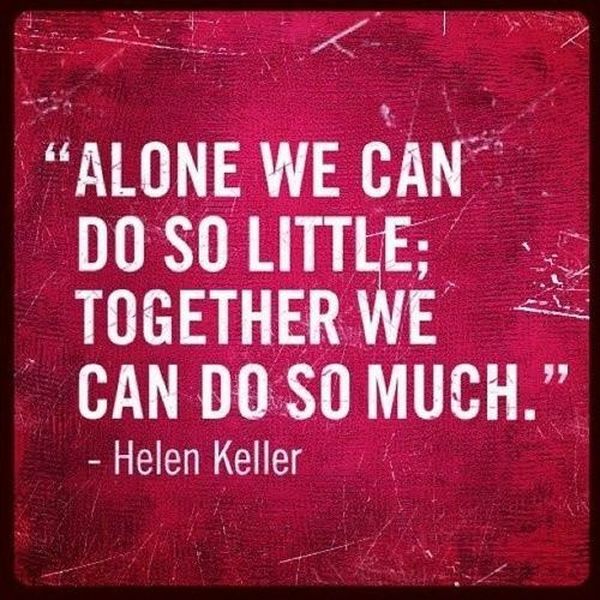 But what it can do is to change the attitude towards work and, most importantly, inspire people to work together as one. True teamwork isn’t about someone taking the lead in order to get a promotion or follow personal ambitions. It is about trust, collaboration and equality of all teammates. It’s about an overall goal shared by every member of a team. 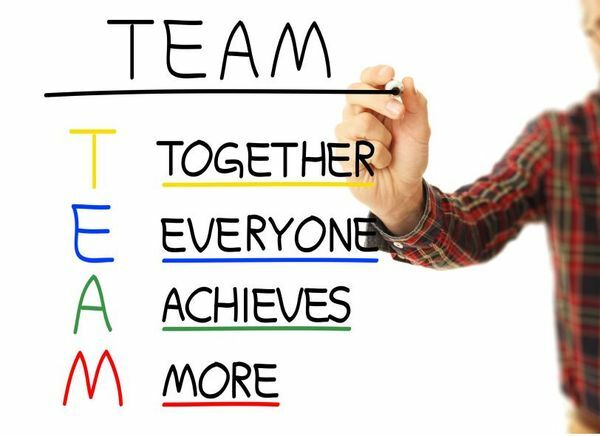 So, if you are looking for the best teamwork quotes for the workplace whether it’s an office, a big corporation or a small company, we guarantee that here you will find a slew of interesting motivational and inspirational teamwork quotes to choose from. If your employees or colleagues don’t get along, it’s just the right time to use powerful quotes about working together. 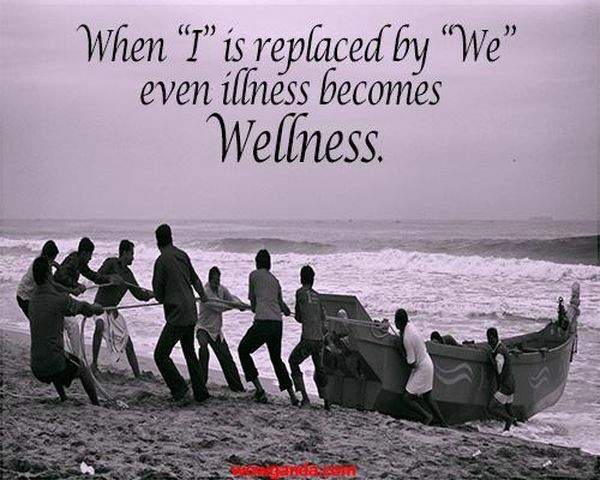 The ratio of ‘We’s’ to ‘I’s’ is the best indicator of the development of a team. A group is a bunch of people in an elevator. A team is a bunch of people in an elevator, but the elevator is broken. If you take out the team in teamwork, it’s just work. Now who wants that? Don’t miss your chance to add some helpful quotes for work to your collection. It takes both sides to build the bridge. Teamwork builds trust and trust builds speed. 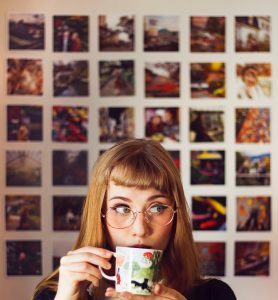 Are you too busy to spend hours looking for the right words to use in your speech? Look no more! 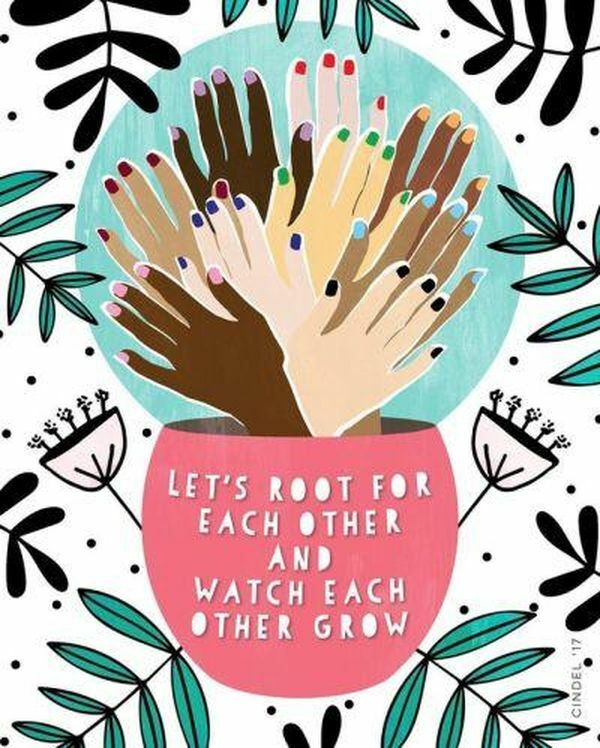 Uplifting quotes to say “we are a team” are exactly what you need. 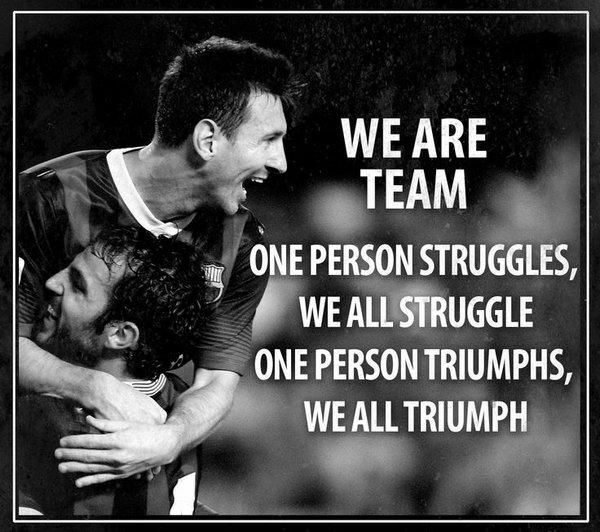 We are a team. We learn from each other. We are the team with the biggest heart, toughest practices, best game plan, strongest togetherness, and will to win! This day… and game…is ours! Let’s take and capture victory! Teamwork begins by building trust. And the only way to do that is to overcome our need for invulnerability. 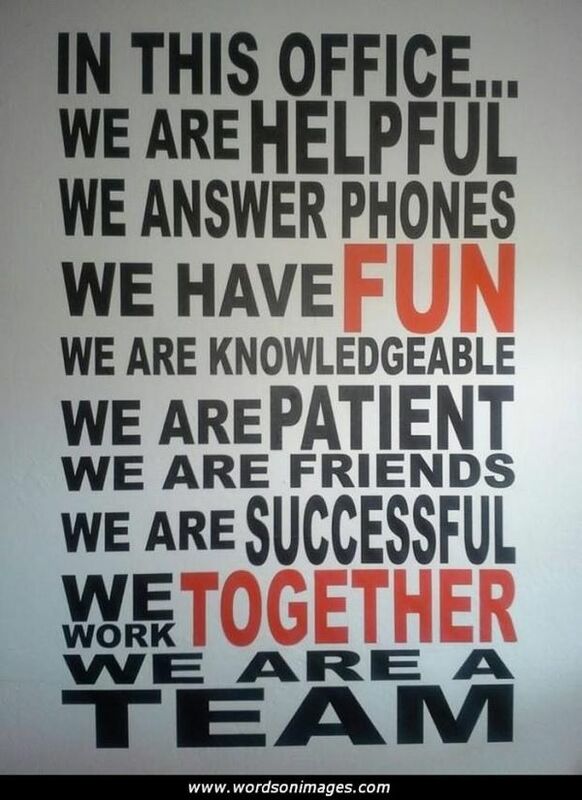 With these inspirational phrases about teamwork, you will always have something to say when your team needs you! 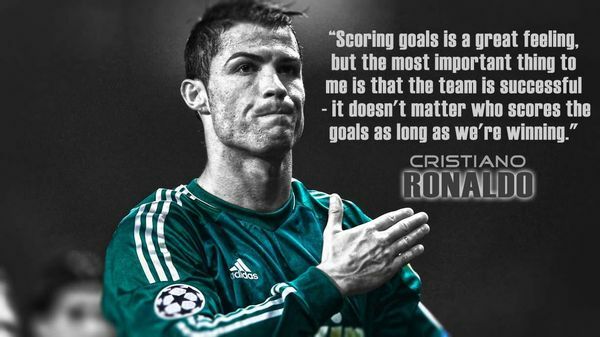 Don’t aspire to be the best on the team. Aspire to be the best for the team. My model for business is The Beatles. They were four guys who kept each other’s kind of negative tendencies in check. They balanced each other and the total was greater than the sum of its parts. That’s how I see business: great things in business are never done by one person. They’re done by a team of people. Effectively, change is almost impossible without industry-wide collaboration, cooperation, and consensus. Famous people are famous for a reason. We can learn so much from their experience. 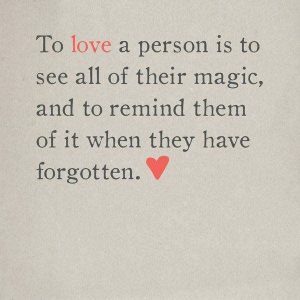 Don’t pass by some of the greatest quotes from famous people. I believe, we can create a better world, a better tomorrow, if we work together. Don’t you? Tough times don’t last. Tough teams do! Never say never because limits, like fears are often just an illusion. Change your thoughts and you’ll change your world! We are above the mark to hit the mark. The way to achieve your own success is to be willing to help somebody else get it first. When all is said and done and we’ve completed this journey we call life, what will matter most is not what we achieved — but rather who we have become. 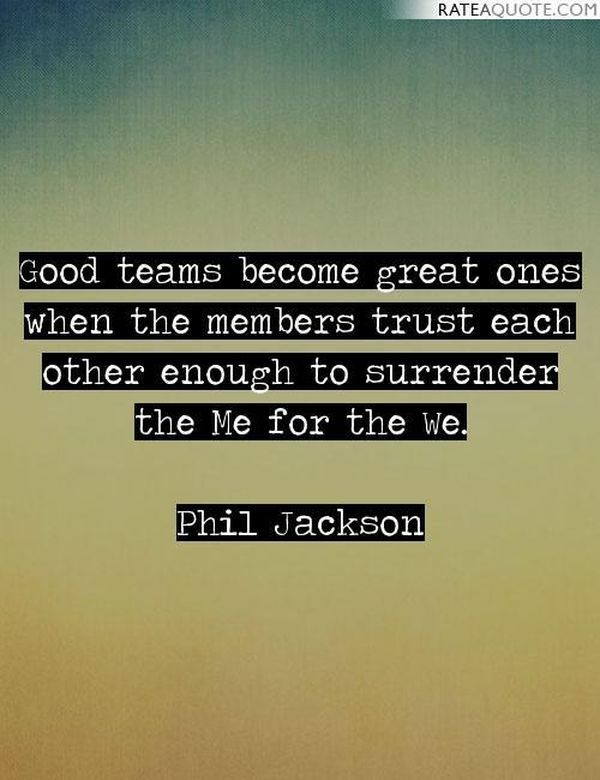 We cannot win in team situations or in relationships by ourselves. 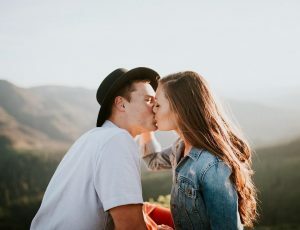 It is like trying to pick up a pencil with only one finger … Even if that one finger is extremely strong, it will prove almost impossible to pick up that pencil unless you use your other fingers or some other part of your hand. Teamwork is a bit like using all of your fingers. Each one is unique and contributes something different, but they unite in pursuit of a common goal. Unity is strength… When there is teamwork and collaboration wonderful things can be achieved. 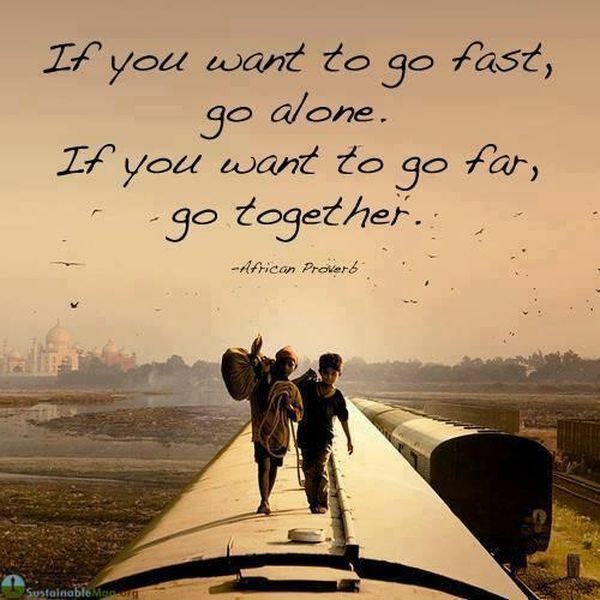 When we learn how to work together versus against each other thing might start getting better. You’re a part of a team. Something bigger. When someone is successful, it’s good for the team as a whole. 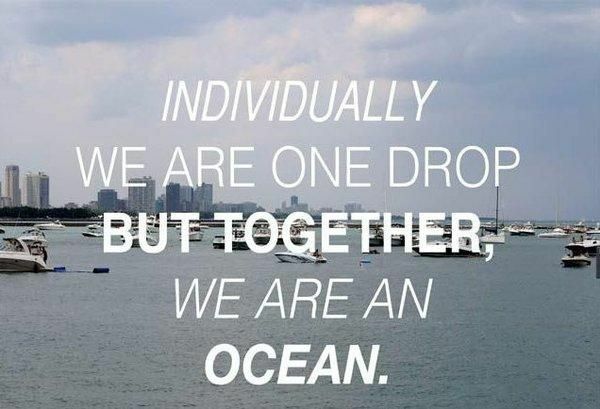 Everyone is in it together. Help others to reach their goal and you will get your goal. 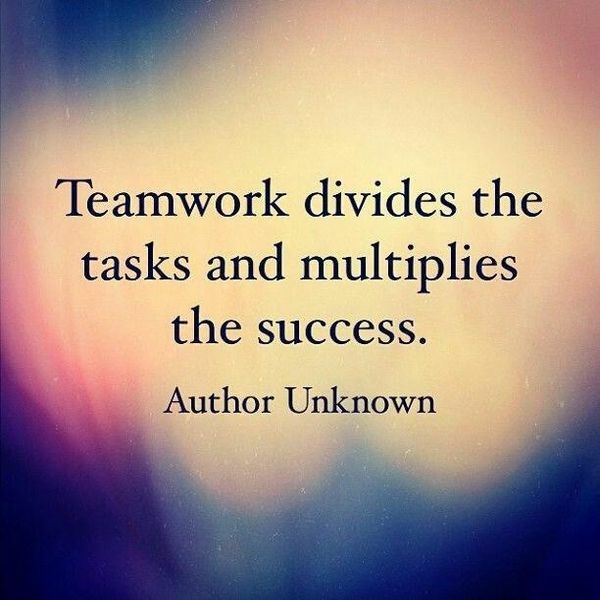 Success is a team sport. Teamwork – bringing out the best in each other. Strategy is not really a solo sport – even if you’re the CEO. A group becomes a team when each member is sure enough of himself…to praise the skills of others. Teamwork: Easier Said than Done. Great things in business are never done by one person; they’re done by a team of people. It’s better to have a great team than a team of greats. 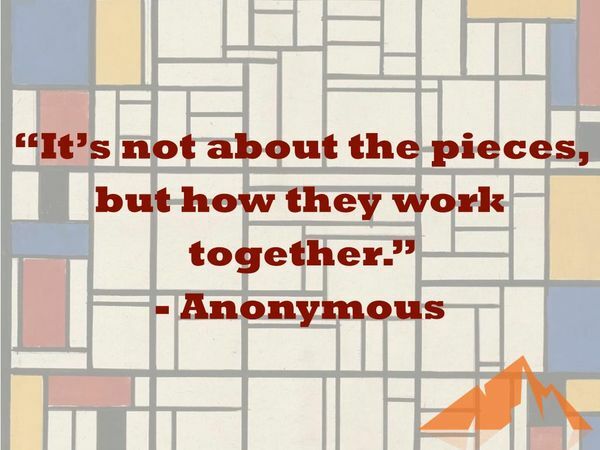 Working together as a team helps build a cohesive organization. Men have never been individually self-sufficient. Collaboration has no hierarchy. 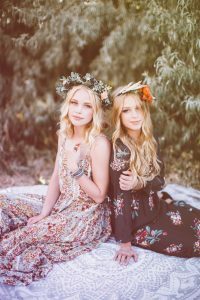 The Sun collaborates with soil to bring flowers on the earth. Who knows more about teamwork than sportsmen and sports coaches? The question is rhetorical. 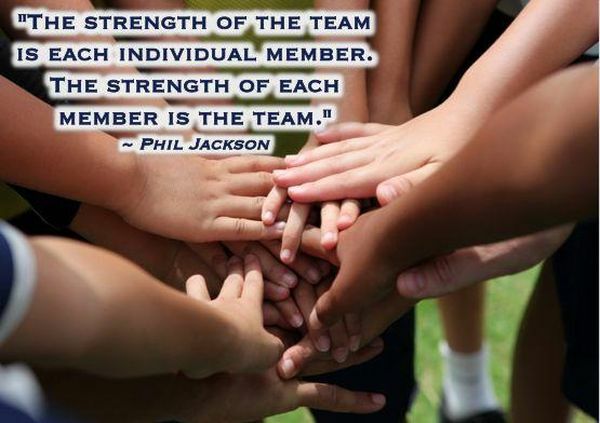 Everybody from apprentices to CEOs can find their favorite sports quote about teamwork. I’ve never scored a goal in my life without getting a pass from someone else. Collaboration is an important part of the process, and ego is never a part of it. A true team player wants the same amount of light to shine on everyone. A player who makes a team great is better than a great player. A great building will never stand if you neglect the small bricks. Success is best when it’s shared. 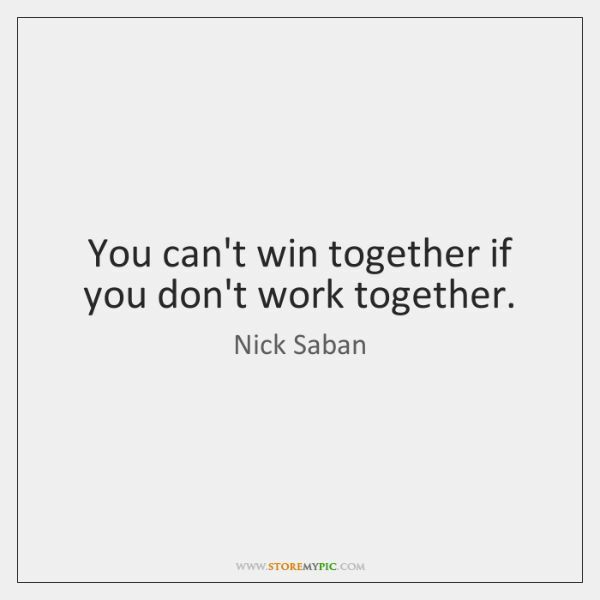 When we learn how to work together versus against each other things might start getting better. No one made it to the top without the help from others. 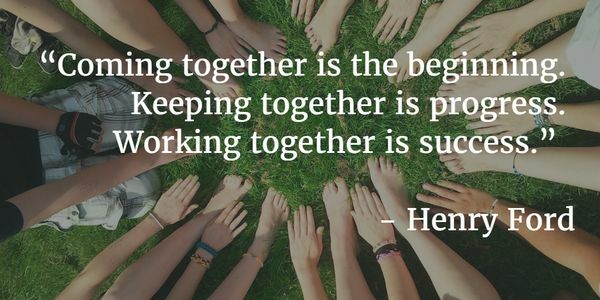 Use our top ideas of motivational teamwork quotes as captions to attract your colleagues’ attention and highlight the importance of teaming up.